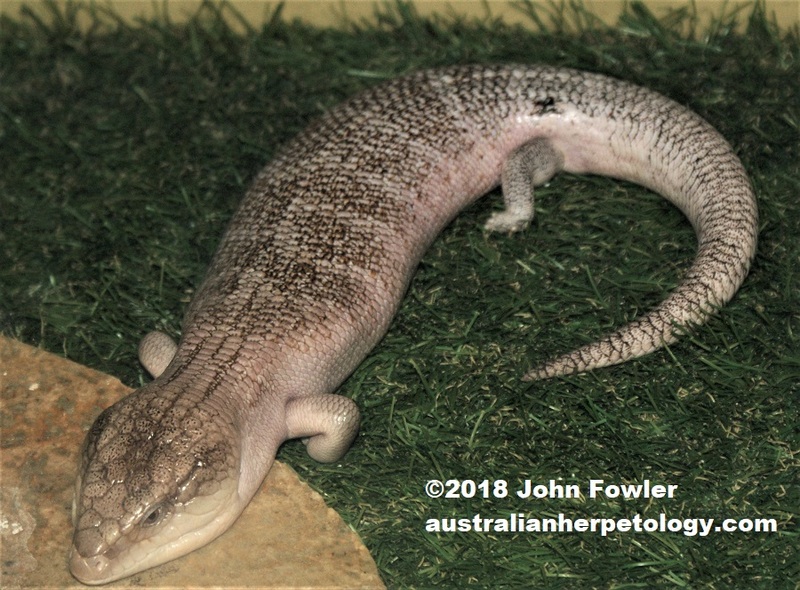 This Northern Bluetongue Tiliqua scincoides intermedia was given to John Fowler as a baby by Bob Irwin, (Father of Steve Irwin). Its parents came from the Gulf of Carpenteria. Northern Bluetongues Tiliqua scincoides intermedia may have considerable geographic variation compared to the Eastern Bluetongue Tiliqua scincoides scincoides which has less variable patterning. 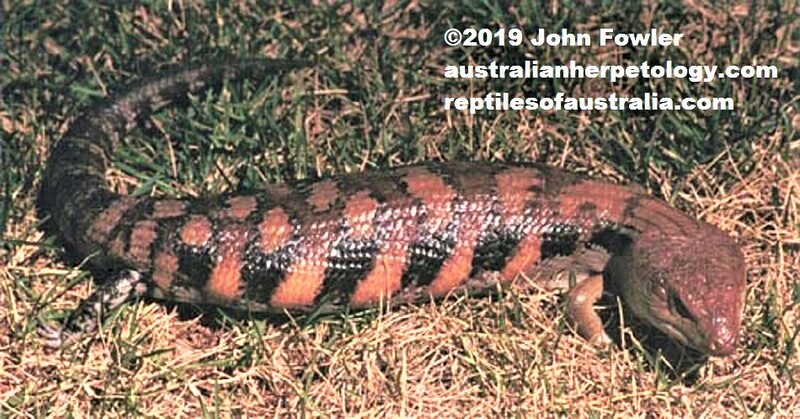 Note the that eye stripe that is indistinct or missing in most individuals of Tiliqua scincoides intermedia and present in most Tiliqua scincoides scincoides is not a reliable method to differentiate between the subspecies.